Taming fire has always been one of man’s best achievements. Starting a fire on a moment’s notice is an easy task with the right skills and tools. There are plenty of options for these tools that range from compression pistons to a few sticks to rub together. One tool stands above the rest in reliability and versatility: the ferro rod. Invented by a German scientist at the turn of the 20th century, ferrocerium has become well known for its fire starting properties. When it is formed into a tube shape or a rod, ferrocerium can be struck with many types of materials to produce extremely hot sparks. These sparks let you start fires in what would be otherwise miserable conditions. Lighters are convenient but have limited uses. Matches can only be used once and need a strike surface. Both matches and lighters are terrible in wet conditions. Compression pistons and the traditional flint and steel can be finicky in wet conditions as well. None of this matters when you are packing a solid ferro rod. Why Pack a Ferro Rod? A good ferro rod showers your tinder pile with 6000 degree sparks on every strike. A stubborn tinder pile doesn’t stand a chance when exposed to these temperatures. A good ferro rod also produces tens of thousands of strikes over its life. 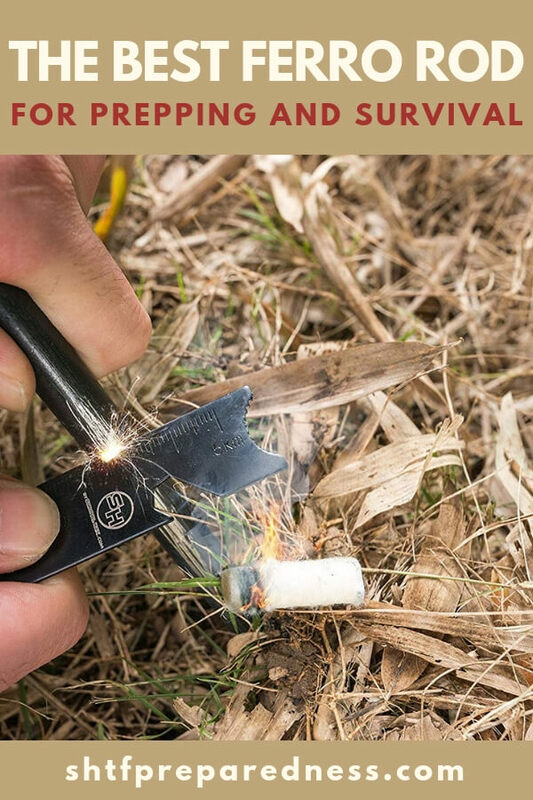 Other fire starters cannot come close to these two huge benefits, which makes ferro rods the choice tool for survival kits around the globe. We combined weeks of research with our years of military, survival, and LE field experience to hammer out a definitive list of the best ferro rods. We picked the best overall ferro rod, a solid upgrade, a budget choice, and the most portable. 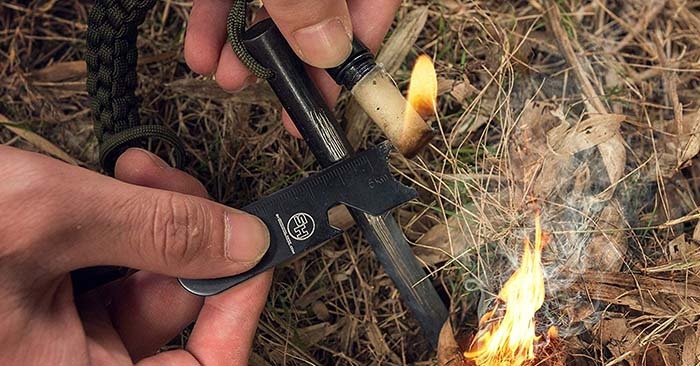 In The Best Ferro Rod for Prepping and Survival, we list out what makes a great ferro rod along with plenty of other great information on ferrocerium.